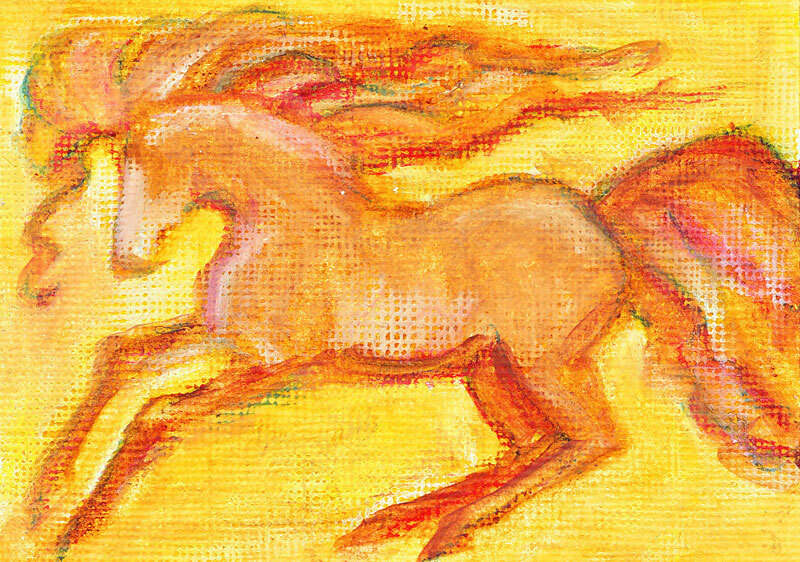 Golden is an ACEO created with Caran d’Ache watersoluble crayons. This entry was posted in Uncategorized and tagged ACEO, equine drawing, horses, Linda Kay Thomas, Linda Snider-Ward, Louisiana artist, Second Saturday, small art, the River Gallery, watercolor. Bookmark the permalink.